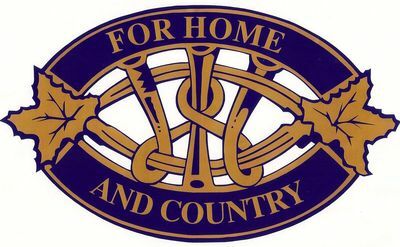 This is a re-vamped version of the original Tweedsmuir compilation of Charter Members, begun in 2003 by Barbara Oldfield. - Hart, Mrs. George, Jr. Compiled by Barbara Oldfield, started August 2003. "Some of the information and photos copied into this book were taken from a book that was put together when these members were alive. Some of the information and photos were missing and some of the photos were badly faded. I have attempted to fill in the missing parts and touch up the photos even though the last charter member died over ten years ago. 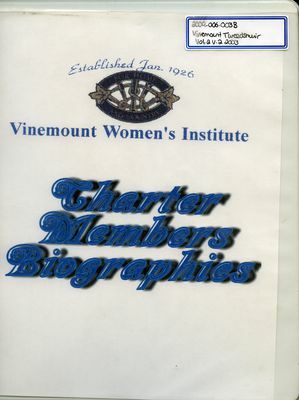 I have verified with the first minute book the names of the actual charter members. I hope I have done justice to these wonderful women who, at a time when they were known by their husbands' first names, rather than their own, started our branch. Signed Barbara A. Oldfield"